Redirect roof or pipe leaks. 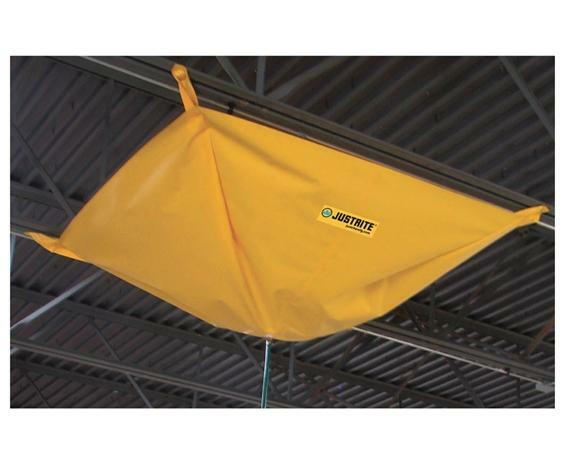 Protect personnel, equipment, and inventory from water damage. Durable, watertight PVC-coated fabric channels leaks to containers or floor drains. Cinched corners offer fast and easy installation. 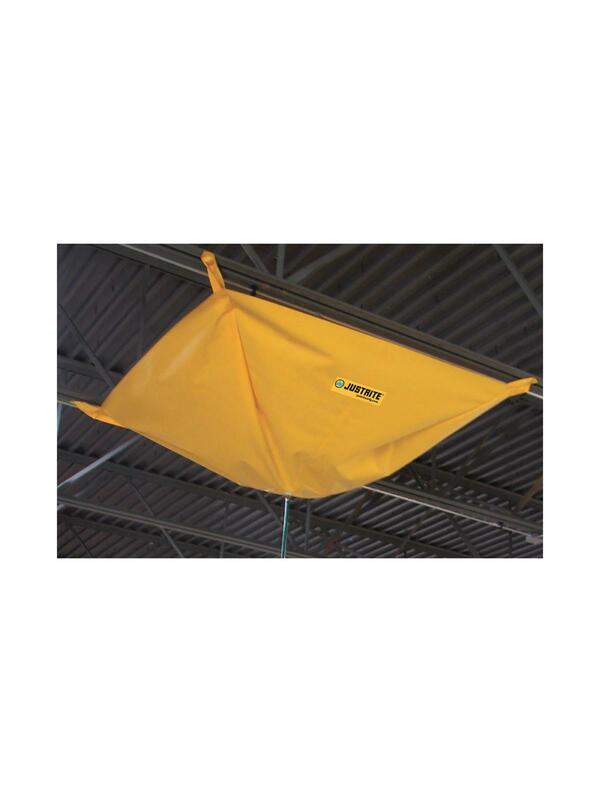 Attach with high strength magnets for steel rafters or use grommets to bungee or zip tie. Simply connect to a standard garden hose to drain water safely away. Flow rate of 3.3 gal/min. FOB Shipping Point. 18 x 16 x 6"18 16 6"